Derry City council wishes to appoint a researcher/facilitator to develop the Story of Irish project. The facilitator will work directly with the Irish language community in the Derry City Council area to research and develop the story of the language in the area. The facilitator will engage with a range of groups and individuals in the Irish language community to develop the story which will form the basis of a new interpretative exhibition which will help develop awareness of the language and its community among new audiences. 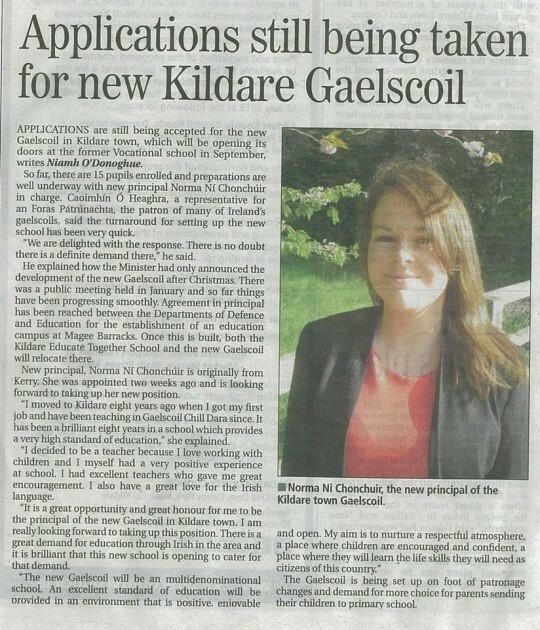 The Department of Education and Skills has announced that a new primary school is to open in the Sandymount/Ringsend area in September 2014. 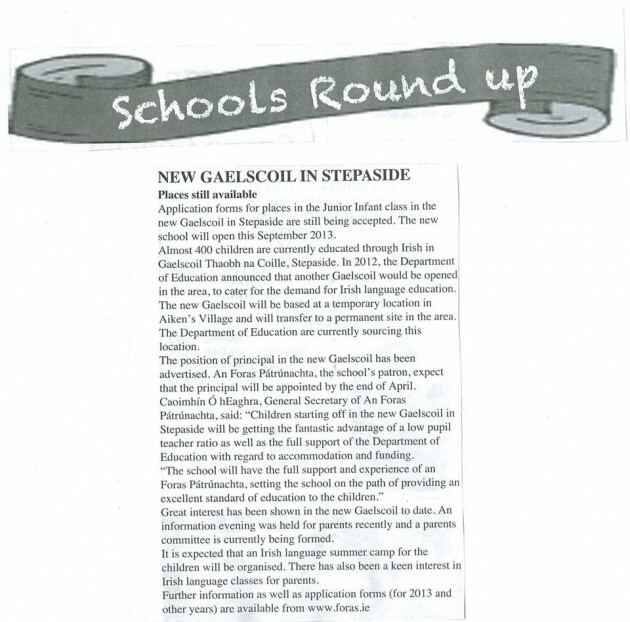 A campaign is underway to have the new school designated as a gaelscoil; there is no Irish-medium primary school in the area, and there is huge demand for places in the Irish-medium schools in the surrounding areas. The new school’s prospective patron, AN FORAS PÁTRÚNACHTA, along with GAELSCOILEANNA TEO., the coordinating body for Irish-medium schools, has organised an information evening on June 5th in the Ringsend & Irishtown Community Centre at 7pm. The event is open to the public and will focus on the benefits of Irish-medium education for all children. This is a great opportunity for the community to get involved and take ownership of what will be a wonderful resource for the area for generations of children to come and to create a vibrant, successful school that they can feel very proud of. 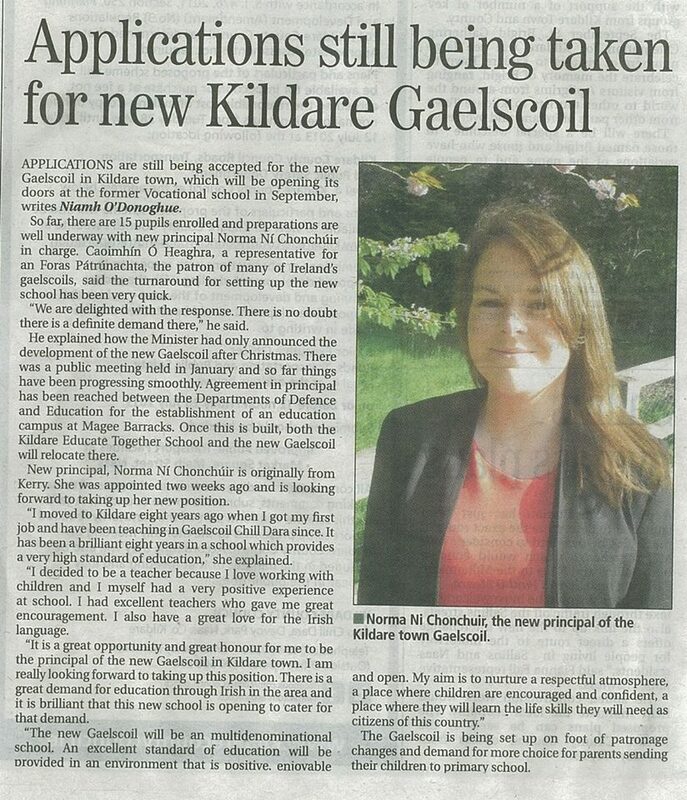 We would be delighted to meet you should you be interested in getting involved in the campaign to have a new gaelscoil established in the area. Further information on the public event is available from Clare on 01 8535193 or clare@gaelscoileanna.ie. Further information on AN FORAS PÁTRÚNACHTA is available on www.foras.ie.